Organic kumquats sold in bulk finally arrived in our market and I was relieved. 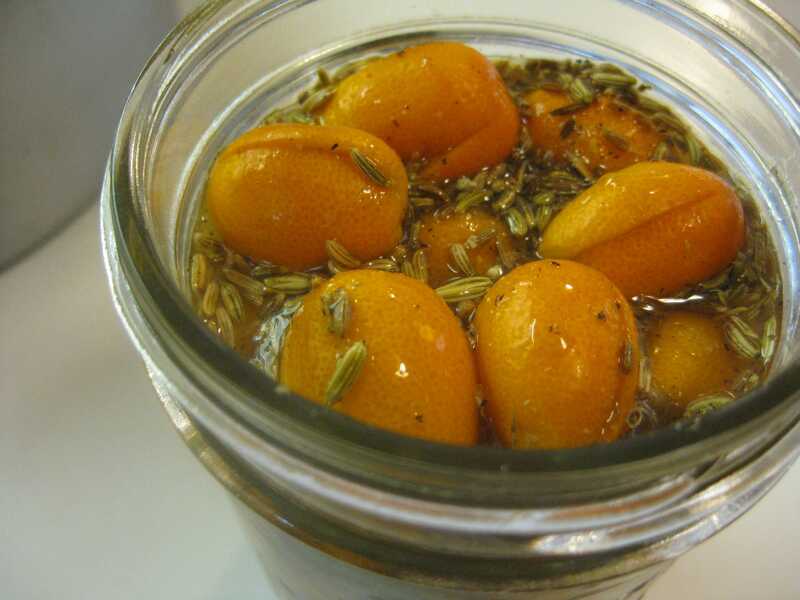 I’ve been making preserved kumquats (similar to preserved lemons) in batches throughout the last two winters and was worried that I’d miss the season. I learned this trick from Tigress of Can Jam fame and it’s genius. I see that she has posted another version this year on her blog Tigress in a Jam. I tinkered with a previous recipe of hers and am finally hitting proportions of lemon juice, sugar and salt that I like. I serve them as a garnish for vegetables such as broccoli and roasted cauliflower, or a salad of bitter greens. 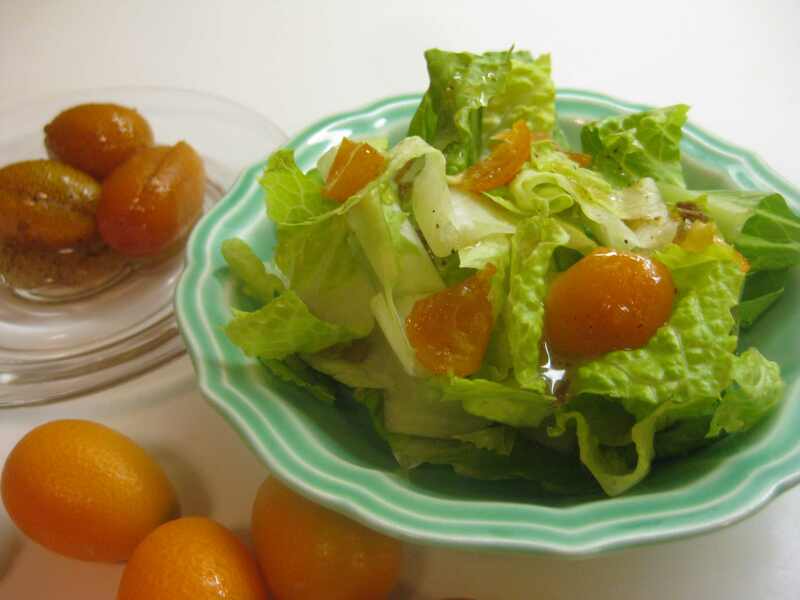 My favorite is to use the liquid as a dressing for salad, since the skin of the kumquats yields its oils and you basically need nothing else. I have to admit though that a little toasted butternut seed oil is a pretty special addition. Wash the kumquats well, dry them thoroughly and let them sit to finish drying for at least several hours, if not overnight. Remove any vestige of the stem, and slice the kumquats vertically but not all of the way through. Remove the largest seeds. Place them in a pint jar. Gently heat the lemon juice and the sugar over low heat, stirring, just until the sugar is dissolved. Cool. Select your spices and lightly crush them. Set the jar aside on the counter, shaking daily for a week to ten days, until the kumquats have softened but still have some firmness. Refrigerate. They can keep for a long time but not around here. They’re too good.